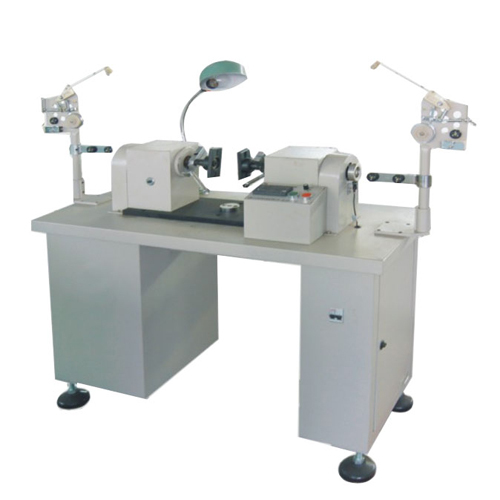 This rotor winder is suitable for even number slot motor wire winding. It is equipped with Japanese frequency speed adjustment, low rise and accelerating, numeric code dialing setting operation speed and deceleration speed ahead, breaking and location accurate, foot stepping to loose tooling, automatic closing tooling. Easy operating, and save more labor. Looking for ideal Rotor Wind Machine Manufacturer & supplier ? We have a wide selection at great prices to help you get creative. All the Rotor Wire Winder are quality guaranteed. We are China Origin Factory of Rotor Wire Wind Machine. If you have any question, please feel free to contact us.